The next chapter of Jazeman Jaafar’s career begins this weekend in Monza, Italy, with the young Malaysian racing driver making his race debut as a McLaren Academy driver with McLaren GT at the legendary Autodromo di Monza. Driving a Strakka Racing McLaren 650S GT3 with British drivers Dean Stoneman and Andrew Watson, one of four examples from the marque to be fielded by the race team, Jazeman will line up on the grid for the first round of the 2017 Blancpain Endurance Series at the famed Italian F1 circuit. 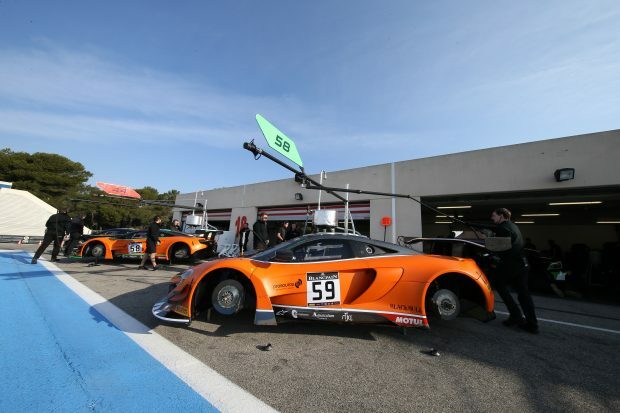 A grid of over 50 cars will contest the opening event in the six-round championship, with the three-hour race set to thrill with its field of sportscars representing 11 different manufacturers. Jazeman enters his second year of competing in the Blancpain Endurance Series, with the talented driver finishing second in the championship last year with HTP Motorsport, driving a Mercedes AMG GT3. He has plenty of experience of the Monza track having driven at the circuit last year in the series, where the HTP Motorsport #84 car was on pole and finished second. He raced regularly at the circuit in Formula 3.5 Series and prior to that in British F3. Blancpain GT Series track action starts on Saturday for Jazeman, with free practice and pre-qualifying sessions. Final qualifying (9.50 CEST) and the race, the TM Performance 3 Hours of Monza (14.45 CEST)are on Sunday April 23rd. All the racing action is shown live on the series website, www.blancpain-gt-series.com and highlights are shown on Fox Sports 3 in Malaysia.